Stinky the Farm cat is getting on in years. She has slowed down a bit but she still has her moments of “crazypants” as some of her cat blog friends call it. When I was given the opportunity to try Hill’s Science Diet 11+ Age Defying cat chow especially formulated for older cats I knew that Stinky deserved the chance to try something special just for her. Problem is the other Farm cats. 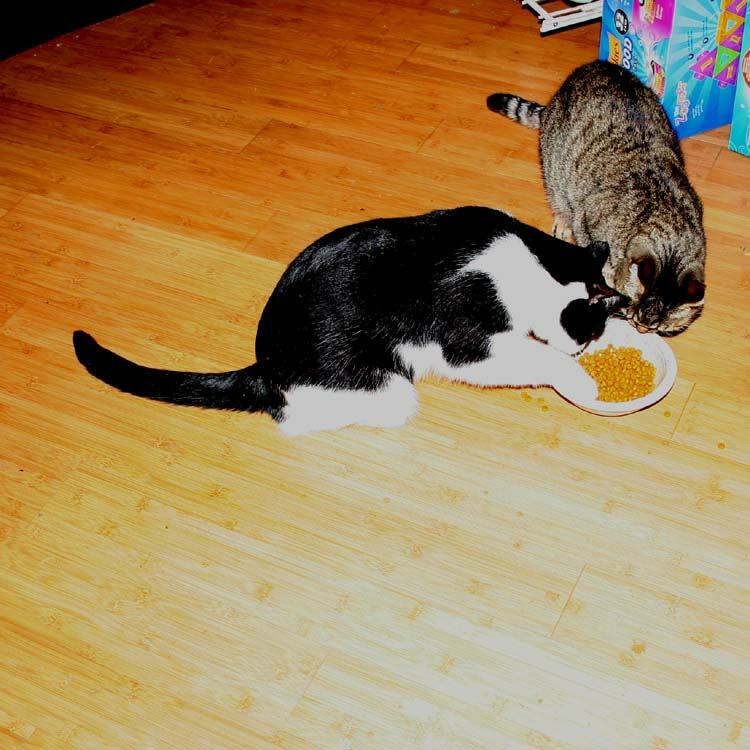 Harry the Farm cat actually stole the bowl right out from under Stinky. Put his paw in there and pulled it away. But turns out he loved it as much as Stinky did. And Harry is only one year old! 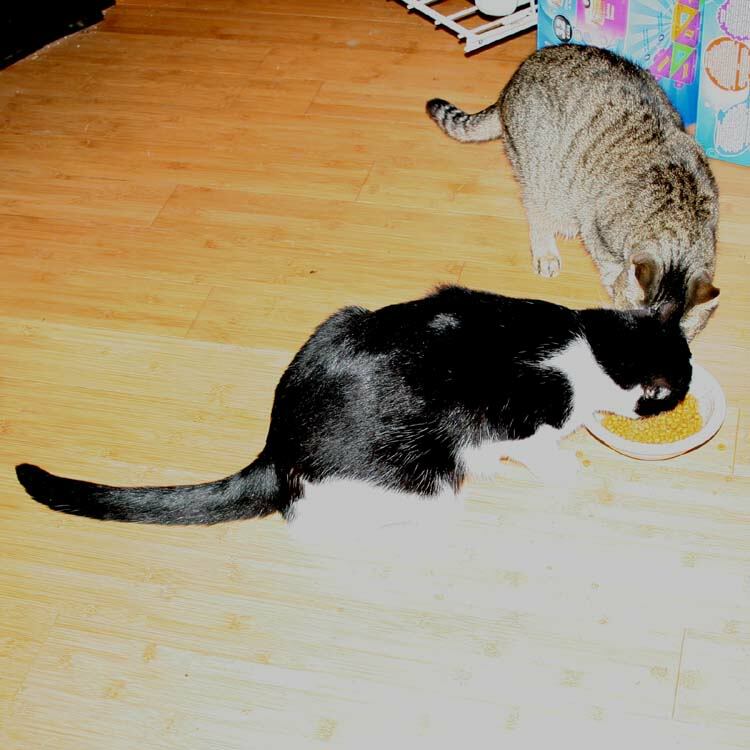 I was finally able to shoo Harry away and let Stinky try the food. She ate the whole bowl. And Stinky is not a big fan of dry food. Sherpa liked it as well. 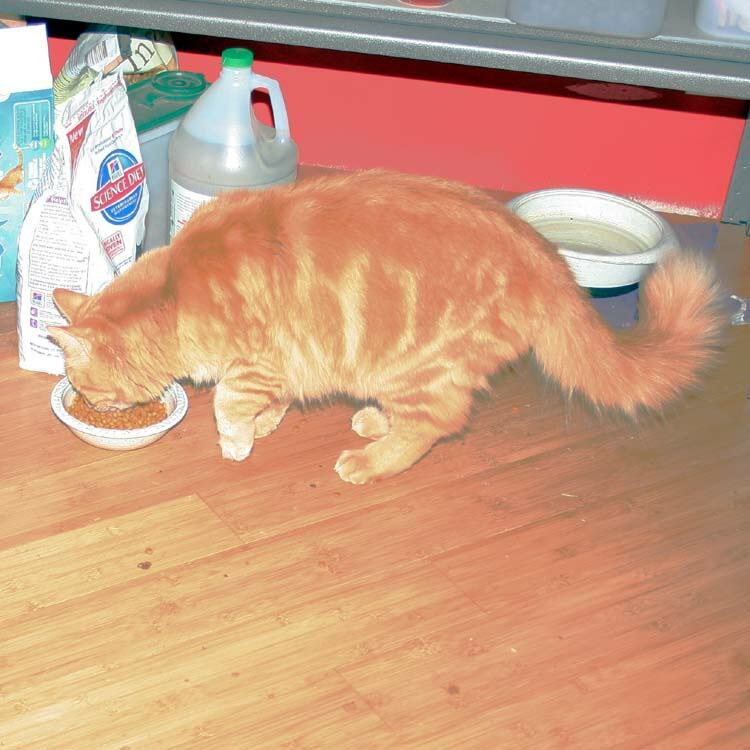 Pumpkin is the only cat that turned his nose up at it but Pumpkin is a VERY fussy eater. 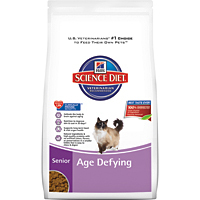 Hill’s® Science Diet® Senior 11+ Age Defying™ cat food provides breakthrough, tailored nutrition for your 11+ cat for a healthy and happy life. It fights 4 important signs of aging in as little as 30 days. Typical signs of aging include more accidents in house, sleeping more, less agility, and less interaction with owner. It also contains an exclusive antioxidant bundle which helps defend the body and brain against aging. Age Defying™ is also rich in Omega-6 fatty acids to help promote soft skin & radiant coat. The three Farm cats are sucking this stuff down like there is no tomorrow so I guess that means 6 paws up. 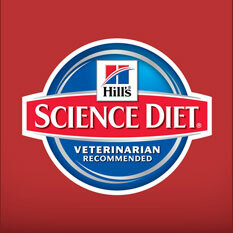 Disclosure: I received a sample of Hill’s Science Diet 11+ Age Defying through my relationship with BzzAgent. Any opinions expressed are my interpretations of my cats’ eating habits. I received no monetary compensation for this post.